London, United Kingdom, 23 August 2018: Nikon is pleased to announce the release of the AF-S NIKKOR 500mm f/5.6E PF ED VR, a super-telephoto lens compatible with Nikon FX-format digital SLR cameras. The AF-S NIKKOR 500mm f/5.6E PF ED VR is a high-performance, FX format, super-telephoto lens that supports a 500 mm focal length. Adoption of a Phase Fresnel (PF) lens element has significantly reduced the size and weight of the lens, making hand-held super-telephoto photography easy and enjoyable. 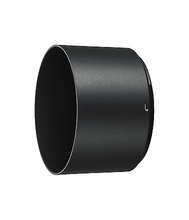 The size of this lens has been greatly reduced, with a maximum diameter of 106 mm and length of 237 mm. Its weight at approximately 1,460 g is roughly the same weight as the AF-S NIKKOR 70-200mm f/2.8E FL ED VR - other 500 mm lenses normally weigh more than 3,000 g. The AF-S NIKKOR 500mm f/5.6E PF ED VR is designed with consideration to a dust and drip-resistant structure, which in addition to the fluorine coat applied to the front lens surface, allows great agility when shooting. The use of one PF lens element and three ED glass elements enables extremely sharp and detailed rendering that is compatible with high pixel-count digital cameras. In addition, the materials used in the new PF lens element Nikon has developed effectively reduce PF (diffraction) flare. Extremely clear images are achieved through the synergistic effects of Nikon's coating technologies, starting with the Nano Crystal Coat, which is very effective at controlling ghost and flare. AF speed has been increased by making lens elements in the focusing group lighter. The AF-S NIKKOR 500mm f/5.6E PF ED VR is also equipped with a VR mechanism that offers camera shake compensation equivalent to a 4.0-stop* increase in shutter speed. In addition, SPORT VR mode has been adopted. SPORT mode is especially effective when photographing fast-moving and unpredictable subjects such as wild birds, or in scenes such as sporting events, as well as when recording movies, due to the stabilisation of the image displayed in the viewfinder. Use of the FTZ mount adapter will allow the lens to be used with the Z-mount mirrorless cameras also announced today. Users will be able to enjoy super-telephoto shooting at the 500 mm focal length with a system that is even more compact than ever before. Adoption of a PF lens element has enabled the creation of a smaller and lighter lens that can be taken to places that were difficult with previous super-telephoto lenses. The smaller size and lighter weight also eliminate the need for a tripod, making hand-held super-telephoto photography easy. The AF-S NIKKOR 500mm f/5.6E PF ED VR greatly expands possibilities for super-telephoto photography by combining superior performance with a compact size and light weight. * Measured in accordance with CIPA standards in NORMAL mode when a digital SLR camera equipped with a full-frame, 35mm film equivalent image sensor is used.